Is Cowboy Yoga A Thing Now? Bet you didn't know stretching was so important! 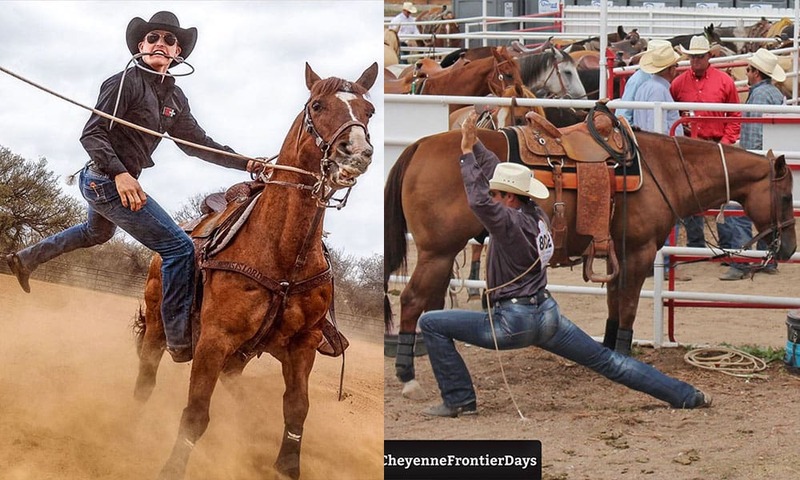 Is cowboy yoga a new thing? Well, somewhat, but not quite what one might think! Check out what Stran Smith told Down The Line! “Staying in good physical shape involves three parts: lifting weights, cardio, and stretching. Roping calves also involves three parts: catching, flanking & tying, and scoring. Ironically in both situations the most important part gets the least attention. “In physical fitness the normal priority is weights, cardio, and stretching when it should be exactly the opposite. First and foremost should come stretching, cardio, and then weights. Professional athletes, like football players, will stretch two hours or so prior to a game. That gives muscles time to regroup, recollect, and be ready for a quick twitch fire. An intense stretch right before you perform actually dulls the muscles. While I usually stretch for an hour each day, before I rope I will do some light stretching in order to warm my muscles up. “Most people prioritize their roping practice by catching, flanking & tying, with scoring third. Again, this is backwards from how it should be. First and foremost should come scoring, then catching, and finally flanking & tying. “Scoring is important is because it sets up your catching. Whether or not you score well makes catching either easy or difficult. How many ropers do you know who have dedicated a day to videoing their scoring – with no rope in their hand? Usually when a roper picks up a rope, his brain goes to his right hand. How much time do you spend behind a barrier at home and do you put it up when you rope? “Many people score the same every time at home. They see the same start on the same kind of calves repeatedly. To truly be effective, you need some variables or tools to change it up. Rope different types of calves and periodically slide a bar in the chute that the calves have to jump over. Change it up. “The biggest thing scoring and stretching have in common is that they are not fun to do – but should have the most time and importance given to them. Click here for more tie-down roping!